Explorer Scouts are young men and women, usually aged between 14 and 18 years old. They make up the fourth Section of the Scouting family. As an Explorer Scout, you will get the chance to work with other Explorer Scouts in your District, not just your Unit. By doing this, you will get the chance to do many more actvities, not just those your Unit organises. Explorer Scouts meet every two weeks on Saturday afternoon at the new FNEL HQ 61a Rue de Treves, L-2630 Luxembourg between 14:00-17:00. See the Group Calendar for more details. 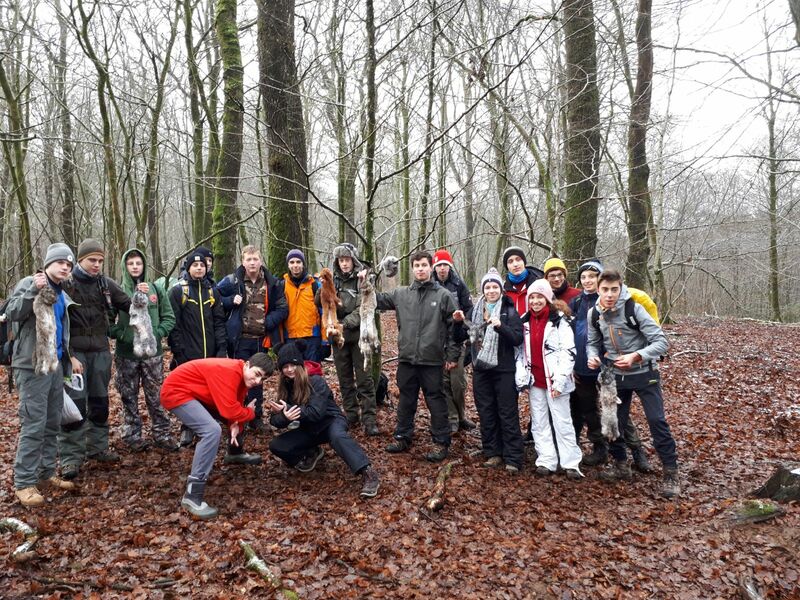 The Telstar Explorers are a hardy bunch and we have had not one but two camps this February. 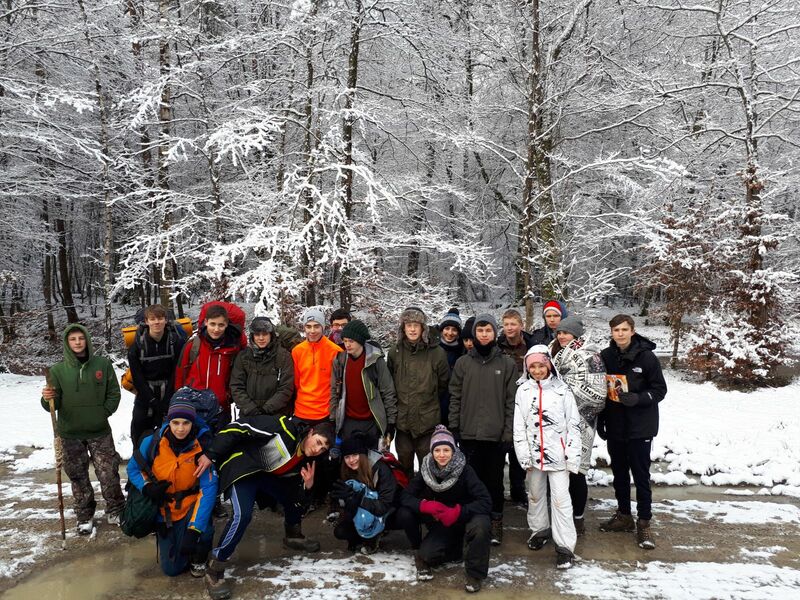 We started with our winter camp where 20 Explorers and 5 mad leaders braved the snow at Camp Lagland, an Army training base near Arlon, to do a winter survival camp. 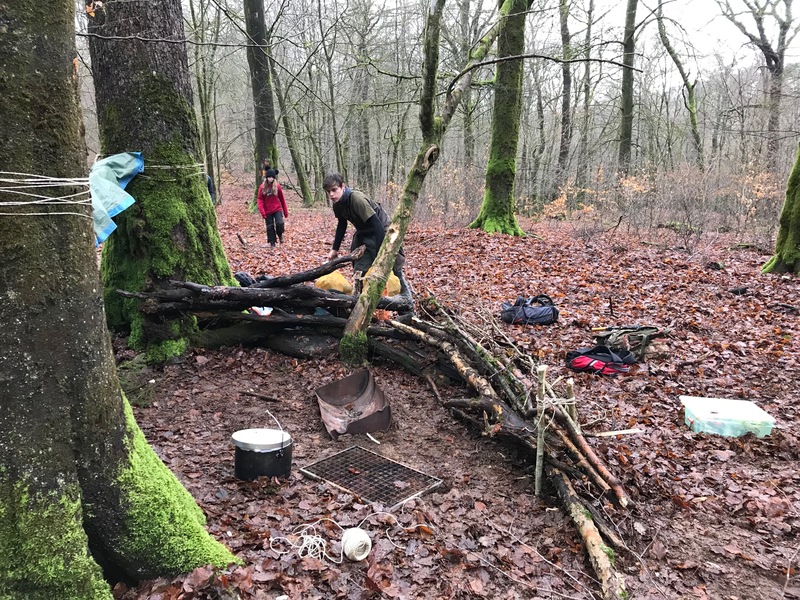 Activities included a navigation exercise to find food and equipment that had been dropped at various grid references, shelter and fire building and of course the skinning and butchering of bunnies to make stew. There are some pretty gory videos of bunny heads being chopped off but I have spared you those! The Explorers woke to find themselves in igloos on Sunday morning as snow fell in the night. All the Explorers had a great time "Best camp ever" was quoted. 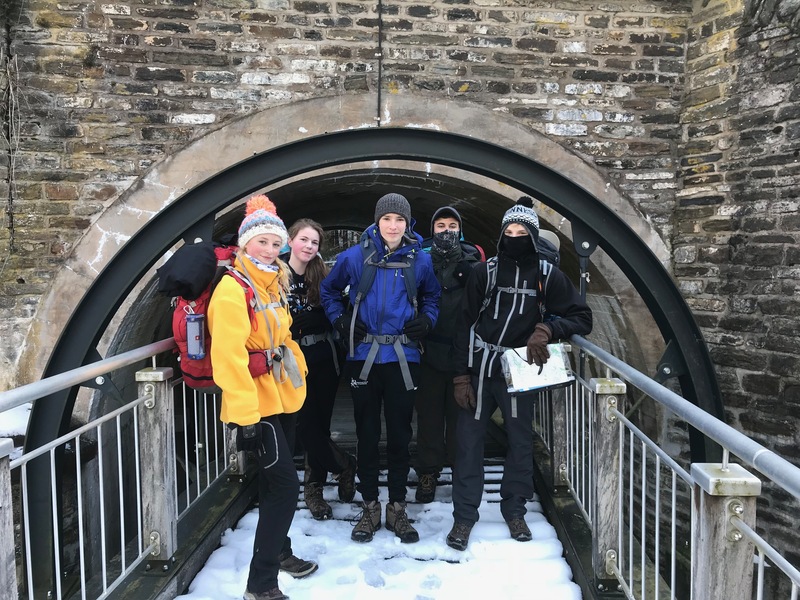 But some were not happy with just being cold once, and due to the problems with the Explorers being at many different schools, finding a date for the Gold Duke of Edinburgh Award Gold Practice Expedition was being problematic. So the group said "I know let's do it in the February half term" oh yippee I thought! So we were off out in the snow again, although I have to confess to sleeping in a mobile homes this time. 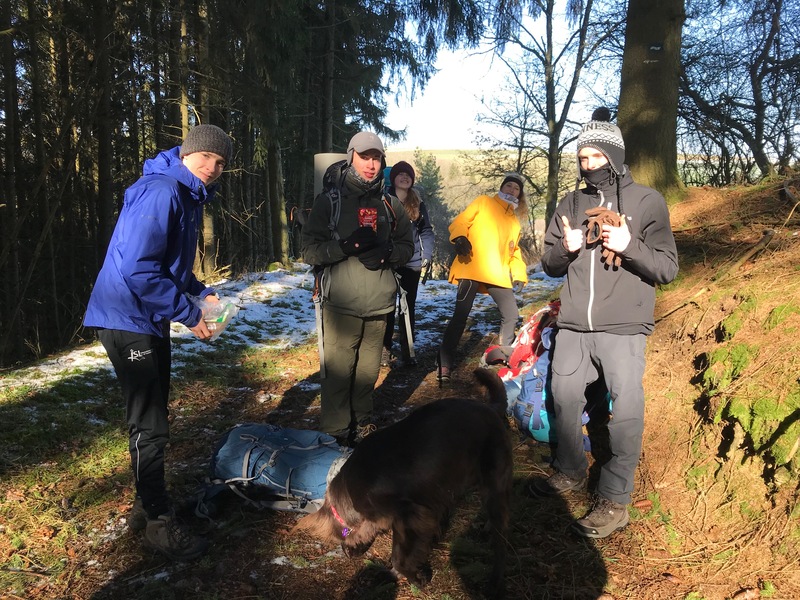 The 5 Gold level Explorers had a great expedition and walked 70kms in 3 days over the hilly terrain of Northern Luxembourg. Deep snow and slippy ground made the going tough but morale remained very high throughout. I am really looking forward to taking this group for their Assessed Expedition to Snowdonia in the summer. We are off out in the snow again this coming weekend but just for the day when we will be working with the charity natur&emwelt clearing scrub-land. So no indoor sessions for us at all this month, it's all about the fresh air.